Against Me! "Black Me Out"
Against Me! 's long-anticipated Transgender Dysphoria Blues is finally set to be released early next year, but you can get another anthemic taste of what's to come via a stream of its "Black Me Out." The track bursts forth with big, arena-sized rock chords and a driving drum thud, delivered here by Atom Willard, with Laura Jane Grace adding her familiarly raspy vocals to the mix, here detailing how she no longer wants to feel weak and insecure. You can stream her positive-minded rallying cry down below. 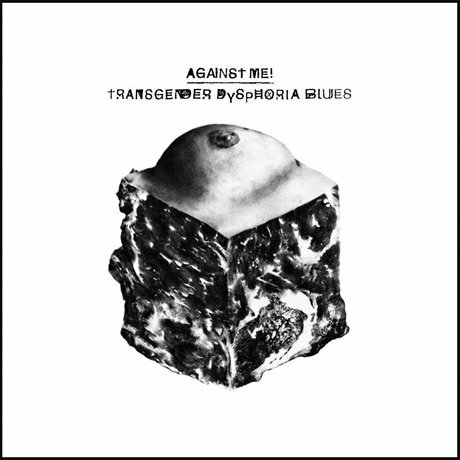 As previously reported, Transgender Dysphoria Blues will arrive January 21 through Against Me! 's own Total Treble imprint.